Ecommerce is the need of the hour, everyone seems to be talking about it and everyone seems to be adopting it. Today more and more businesses are moving online because that is where the consumers are and with rising mobile and internet penetration this is only going to get more important. So you have decided to join the ecommerce bandwagon and chosen the best ecommerce cart to help you get online. So far so good; but how do you ensure that you derive more out of their ecommerce store? How do you get more traffic to your ecommerce store? How do you communicate with your customers? How do you increase customer engagement? How do you keep your customer coming back for more? Blogs!! 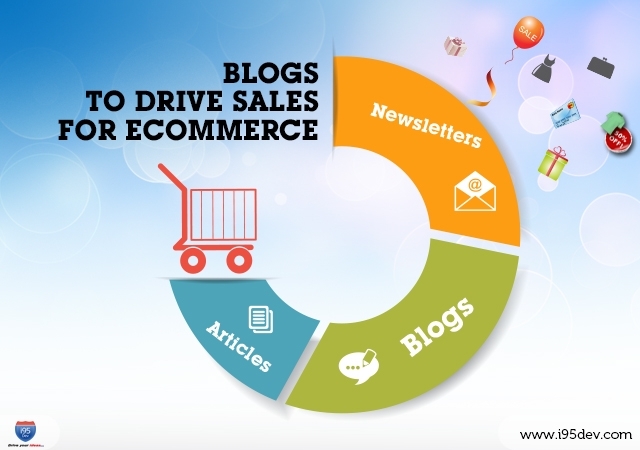 Blogs today are a very effective medium to drive traffic and customer engagement. It is an effective medium which keeps your customers associated with your brand even when they are not purchasing. They are an effective medium for customer retention and also help drive customer loyalty. Include Blogs in your ecommerce store to maintain an on-going relationship with your customers. Use it as a medium to stay on top of their mind for any purchase decisions they make, now or in future. Use Blogs to educate your customers about your products, how to use them and best practices associated (with industry or product). The information will not only help your customers take more informed decision but also drive discussion which can lead to valuable feedback in the form of blog comments. Content is considered King for multiple reasons but the top reason being it immensely helps you with your SEO efforts. Writing blogs on varied subjects around your core business including a plethora of keywords shoot up ranks on leading search engines, as it stretches the bracket of topics the customers around the world are looking for to read upon and learn from. Needless to say, this leads to more traffic to site, leading to more brand awareness and possible increased conversions. Product Discovery – You can not only use your blog to educate your customers but also as a very effective marketing and promotion tool. Talking about your product, even by way of educating your customers on how to use them, helps customer discover your product which otherwise might have been difficult. You can further link your blog to your website to drive your users to purchase the product, add to their wish list, recommend to a friend, etc. Product/ Promotion Announcements – You can also use your blog for new products and promotions (sale, discounts, coupons, etc.) announcements. This can be a very effective tool to bring spotlight on your new products or promotions to your existing readers and followers. “Content Marketing” is a sign of an up-to-date and informed company. People always feel safe and satisfied to purchase products from websites who provide genuine insights and help about products with detailed aspects. The more useful content you write on your blog the more credibility and authority you associate with your brand. You can also use your blog to tell your story, your customers’ story, your employees’ story and connect with your readers (current and prospective customers) at a personal level; no other platform allows you to do that. While Blogs can be an effective medium to increase customer engagement for any business they are even more important for ecommerce businesses. Increasing competition has left very little for the online merchants to differentiation themselves on and Blogs can be a very effective differentiator which businesses must cling on to.